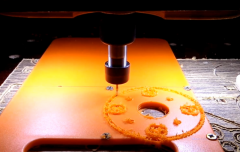 I made this CNC machine myself in 2015, videos of the same year. For a long time I was asked to make a video on the assembly of this machine, later my hard drive broke, by some miracle I found some materials on this machine on another medium. After almost 4 years I will publish the materials, as I did with my own hands a CNC machine tool from the available materials. 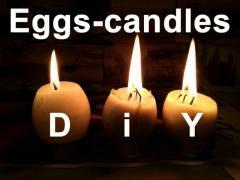 Candles in the shape of eggs perfectly complement the Easter holiday. The unusual shape of the candle very much like the grandmother. 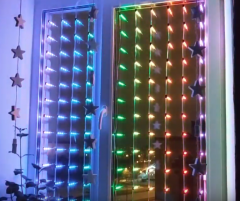 This cool garland is assembled according to the design of Alex Hyvera using Arduino and an address LED strip. The garland has many interesting effects, a running text, several games and the ability to control all this from a mobile phone. 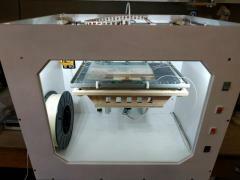 I present to your attention a homemade 3d printer. 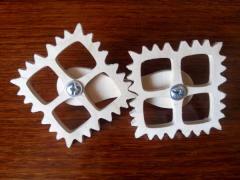 Assembled from plywood, aluminum, plastic and Arduino. 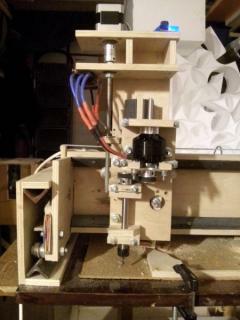 This printer is unique in that its kinematics is peeped from Ultimaker, but done with quality modifications. This small turntable is needed when you need to photograph something or shoot a video in 360 degrees. For the assembly you will need an old CD-drive, a couple of pieces of plywood, a box for batteries, a switch, wires and other trifles. 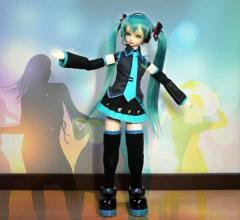 A dancing robot with a height of 60 cm. You can use costumes and accessories. 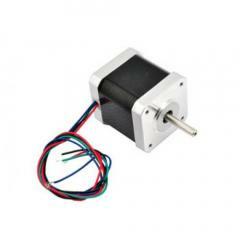 There is wireless control, you can control the movements of the robot. 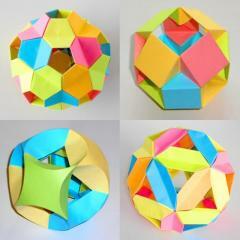 It is difficult to make a ball of paper, but making a ball in origami technique is very easy. Just take the colored paper and follow the tutorial video. You can make from paper not only cubes, but also build from several cubes of the house, bridges, robots - everything that your imagination is capable of. A smart idea for teachers to create with children in the classroom work, geometry or drawing at school! 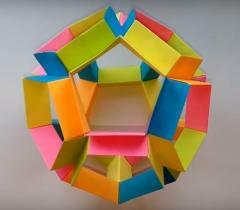 For the production of 30 modules of a dodecahedron, you will need paper 8 * 8 cm. I decided to update the old, already charred stand for the soldering iron. Simple and does not take up much space on the table. Great idea for classes with the child! 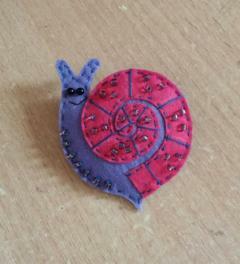 Brooch made of felt snail. Master Class. I had a new passion - brooches of felt. Such small, lovely - they can be an independent gift or an excellent surprise to the main. This device helped me to saw a bundle of rolled metal at an angle of 90 degrees without effort. A friend said like acoo kie, his wife said some windows :) And yet they spin! 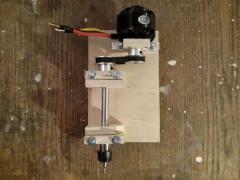 This is my first CNC machine assembled with my own hands from available materials. The cost price of the machine is about $170. 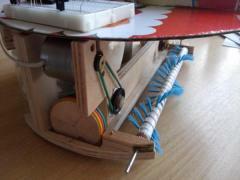 The idea of assembling a homemade CNC machine appeared long ago. Lack of knowledge and necessary details. Today there is everything! This article is about how I collect my robot vacuum cleaner. 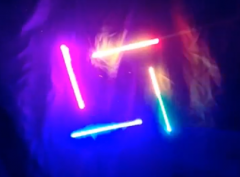 There are a lot of photos and videos for those who also have such an idea. It all started with the fact that I had a daughter :) Now she is 1.3 years old and she has already learned to deftly sit down to her daddy on her knees and read a book. 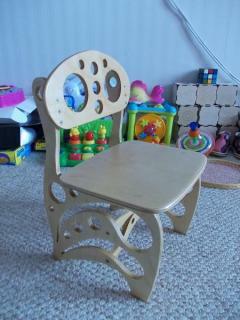 Each child, like an adult, should have his own chair. Searches in children's shops were unsuccessful, the chairs are all plastic and large or with a hole for the pot. We needed a normal chair for sitting, for a very small girl. Almost all toys bought for the daughter do not cause the child's interest, which can not be said about developing toys made by themselves. 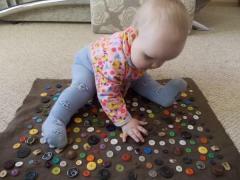 Below is a photo of the simplest developing mat, which the wife made for a couple of evenings from old buttons. Hello, dear friends! 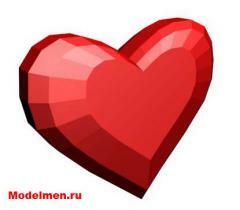 My name is Dmitriy or just Dima :) I'm the creator of the ModelMen.ru site, I did it specifically to collect the most interesting ideas and handicrafts created by myself. This toy is also called "elevator for balls". 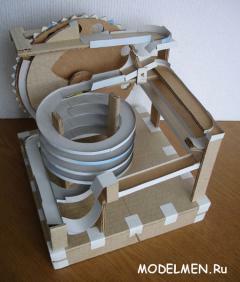 Marble machine made of cardboard. It has long been stored on the computer three photos of the vase, once found on the Internet. 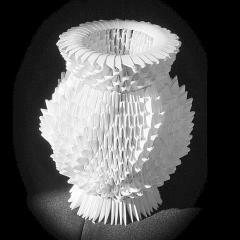 A beautiful, voluminous heart of paper can be glued together in a couple of hours. © 1000DIY.com, 2009-2019. The Best Forever! Page created 0.010503 sec. SQL: 3. RAM: 242 kB.